The name “grenadine” comes from grenade, the French word for pomegranate. 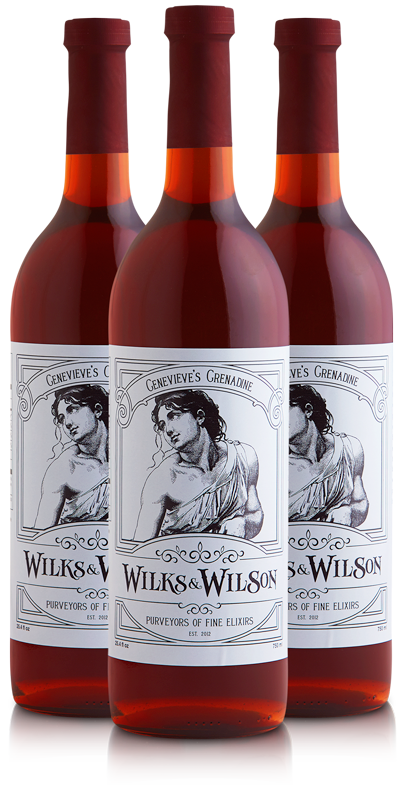 Grenadine was originally prepared from pomegranate juice and sugar, which provided a richly-flavoured, deep burgundy syrup. Genevieve hand-crafted her own grenadine from farm-grown pomegranates, which–along with her beauty–played a large role in seducing her many suitors. The current popular grenadine, a bright red concoction of high fructose corn syrup, artificial cherry flavour and Red #40, is a far cry from the original. Find sample recipes using Genevieveʼs Grenadine. Download our full recipe collection.